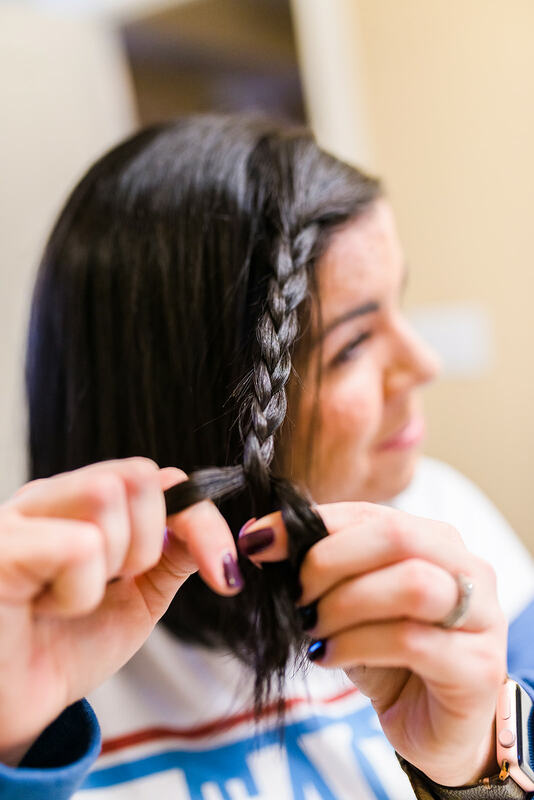 Step one: Take three pieces of your hair in the front, and start to do a regular braid until you reach the end. 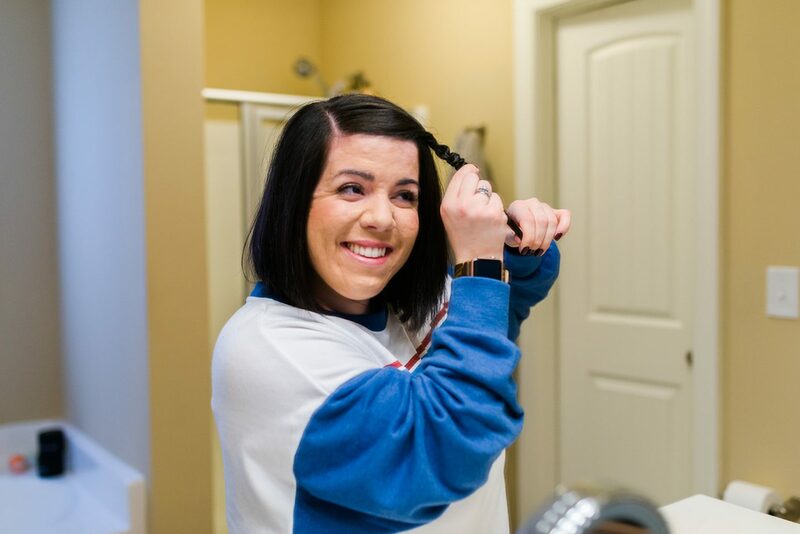 Step two: Once you’ve braided your hair, you want to end your braid with the piece of hair on the right side of your braid placed over the top (this placement is key). 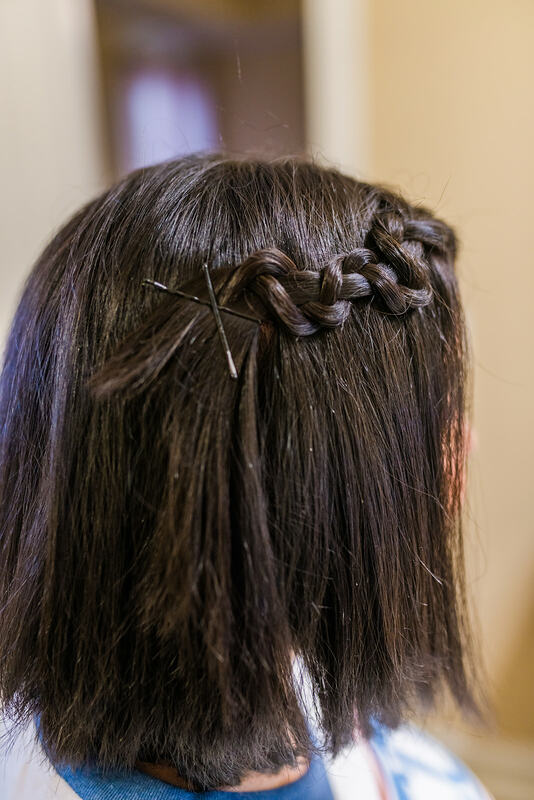 Once you have this placement, you will then just push the braid up with your fingers all the way to the top where you began the braid. Step three: Once you’ve pushed it all the way to the stop you can start loosing it up a little bit until it looks like the photos below. 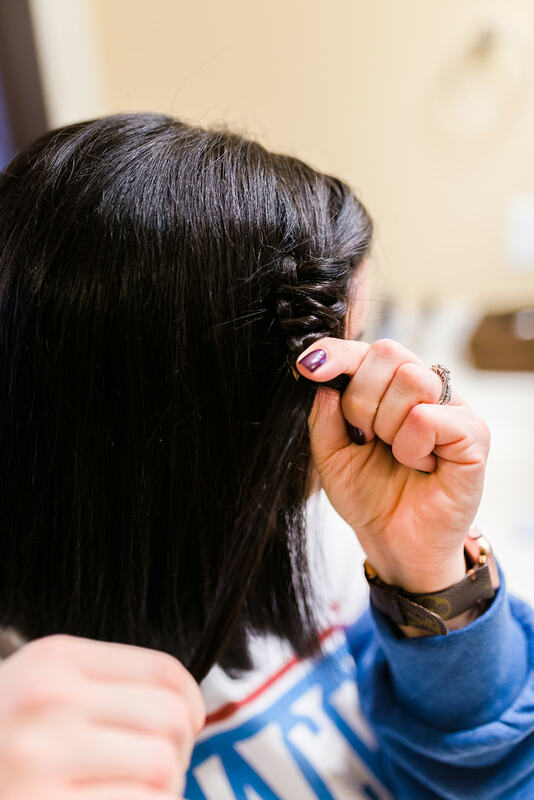 Step four: Secure your braid with two crossed bobby pins. 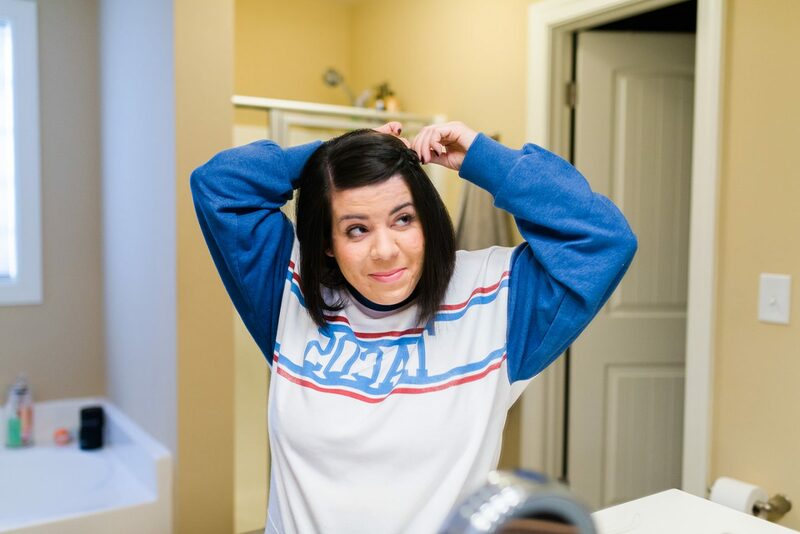 You can shop my sweatshirt here. 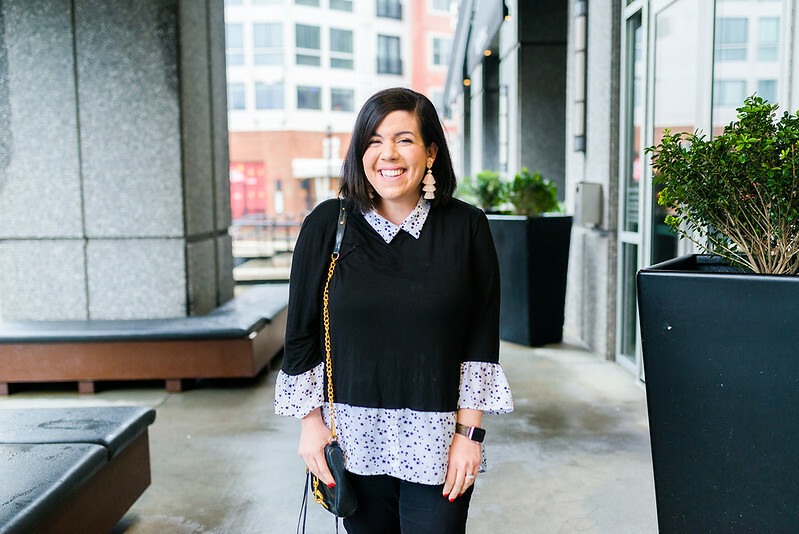 I feel like I feature a lot of casual outfits on the blog these days which is what I wear when I’m with Charlotte or when I work from home. 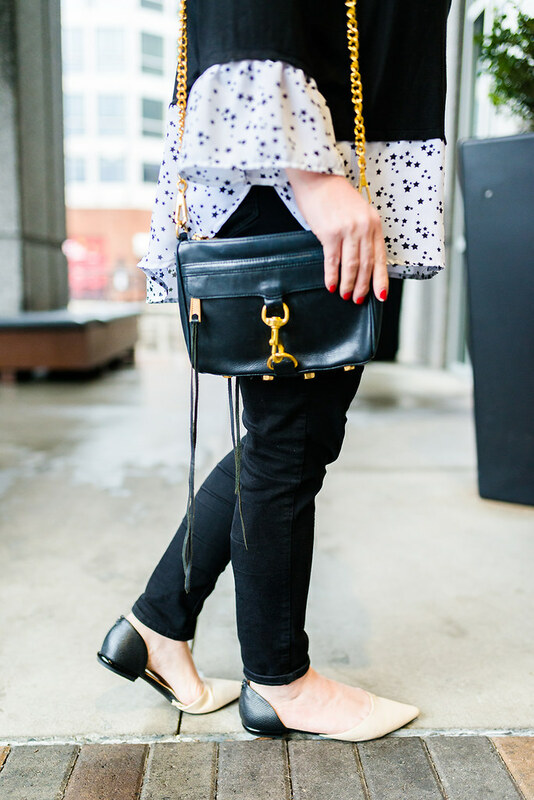 Today, I thought I would share an outfit that I’ve been wearing to the office lately on repeat! 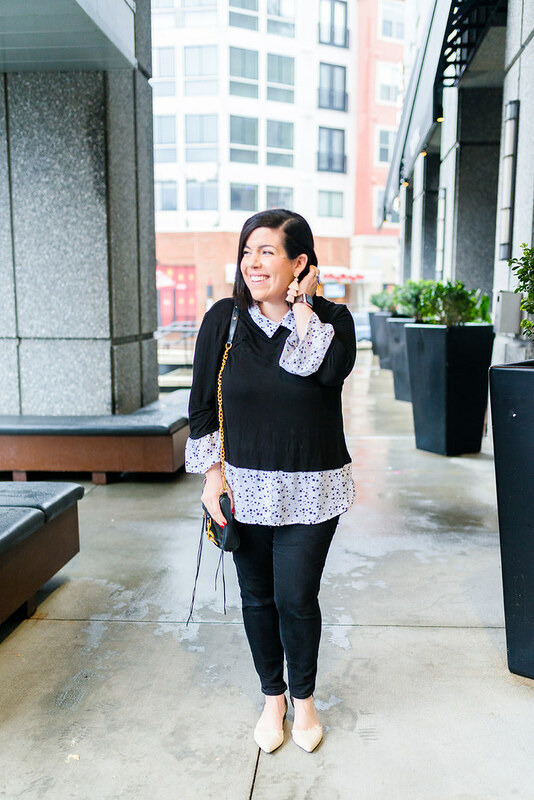 I absolutely love this layered top for the office because it does the layering for you while being really light weight. 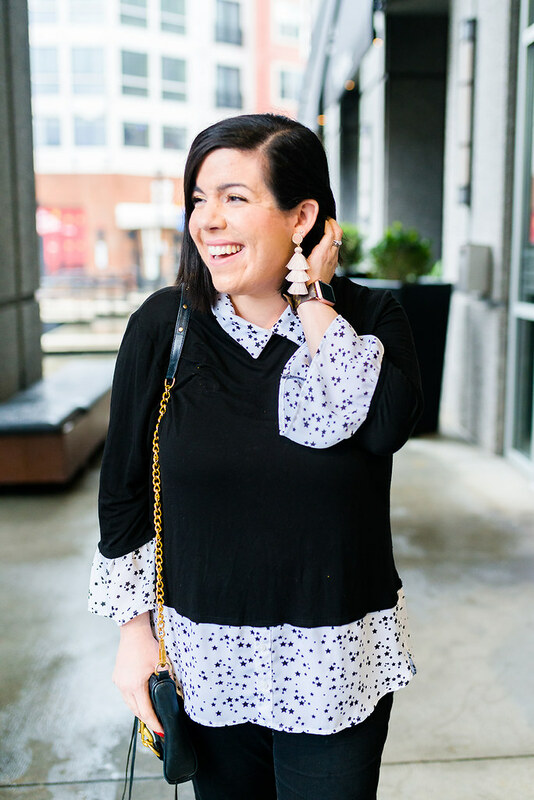 I also love the print, and I think it pairs perfectly with these fun blush tassel earrings which are from the Sugarfix x BaubleBar line at Target. 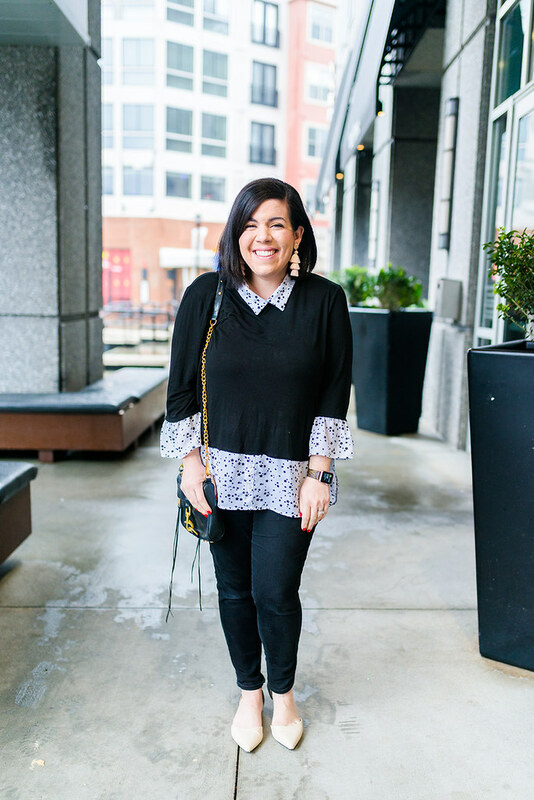 What do you wear to the office? 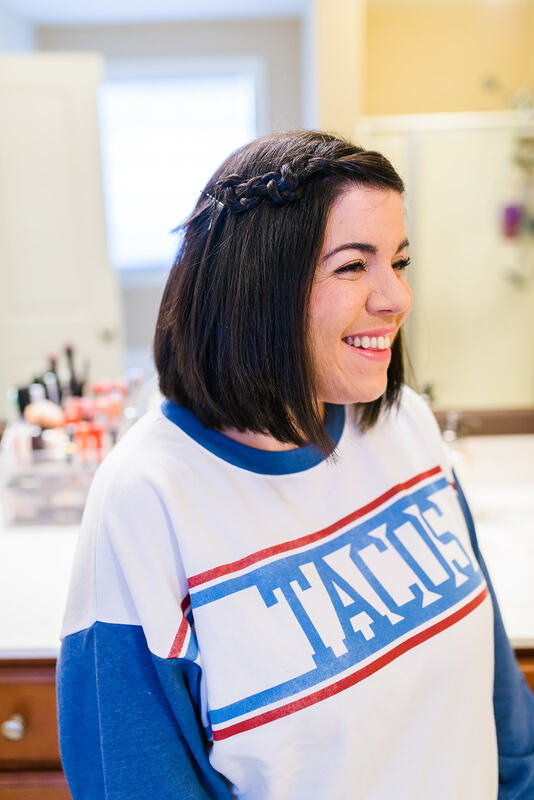 Here are the items that I’m currently craving this week! I’ve mentioned my love for online shopping at Old Navy quite a few times before. They always have an extra discount online that they don’t have in-store, and you can even do in-store pick-up now which is amazing. 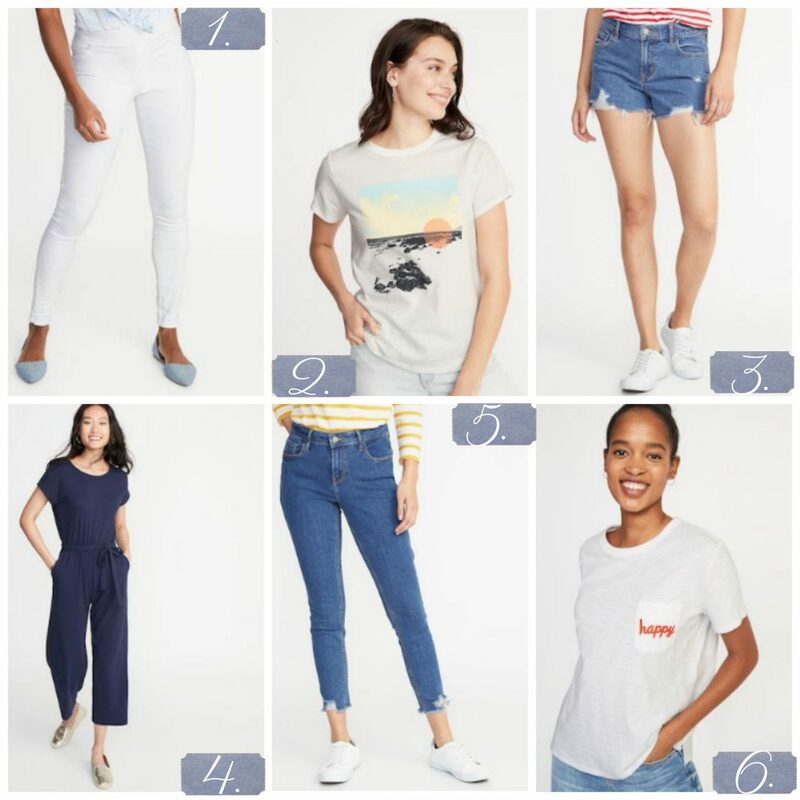 Today I thought it would be fun to share some of my recent purchases from Old Navy for the Spring weather that we have been having. Which is your favorite, and what are you currently craving? We’ve been feeding Lilly Purina® Pro Plan® SAVOR® Shredded Blend Adult Dog Food-Chicken & Rice since we first adopted her in 2012. 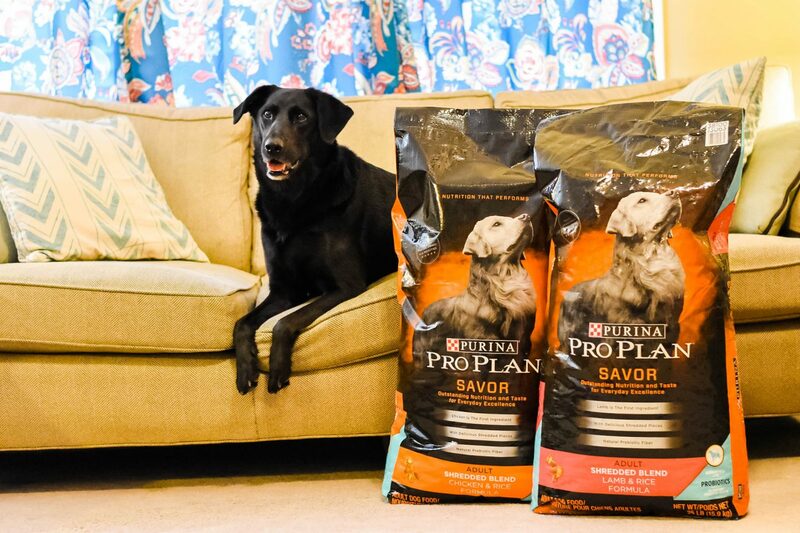 Purina® Pro Plan® SAVOR® Shredded Blend Adult Dog Food is the only food that she has had, and she absolutely loves it. Purina® is the 1st dry dog food brand with real meat as the #1 ingredient which is really important to us, and it has advanced nutrition with a formula that tastes great so that Lilly loves mealtime! Lilly eats the chicken & rice dog food, but it also comes in lamb & rice if you’re looking for another variety. For more details, be sure to visit ProPlan.com/Savor. 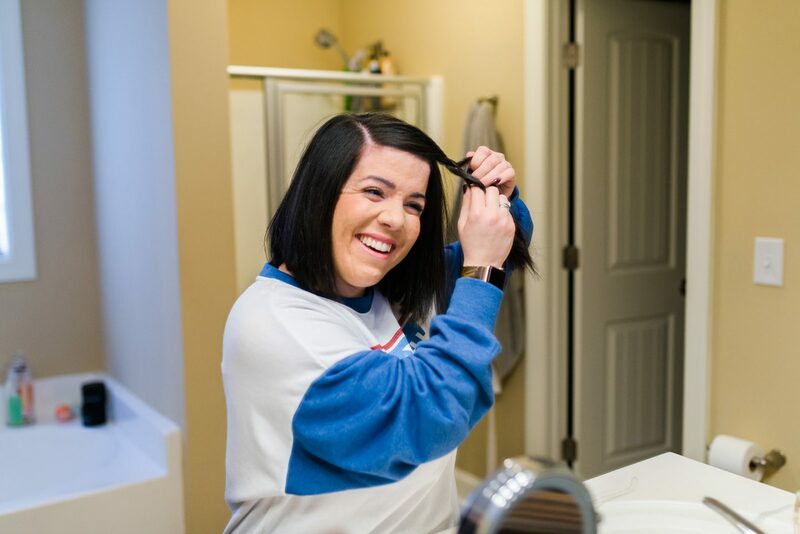 The best part about Purina® Pro Plan® SAVOR® Shredded Blend Adult Dog Food is that it now includes probiotics which is what we have started feeding Lilly this year. Probiotics are live microorganisms that if consumed in the right amount can have a health benefit for your pet. 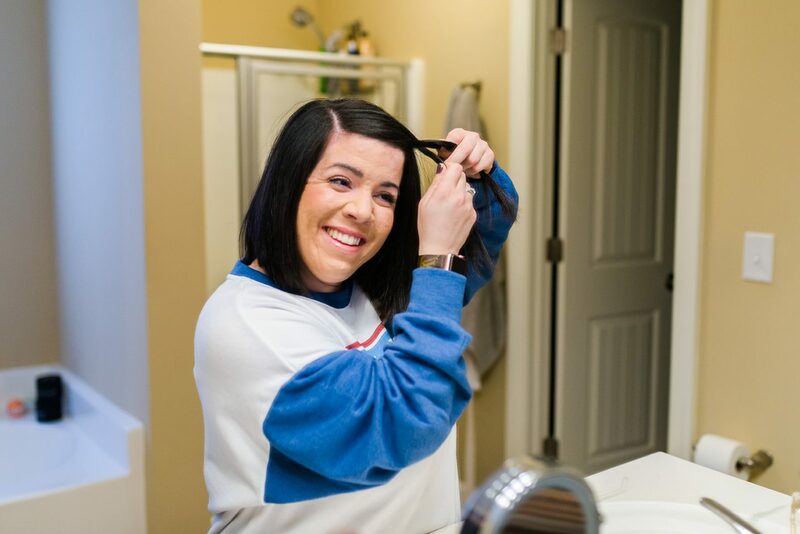 For us, it has been a small change with a big impact for her when it comes to her digestive health. If you have any concerns or questions, consult your veterinarian. They can help you choose the right diet and probiotic for your pet. 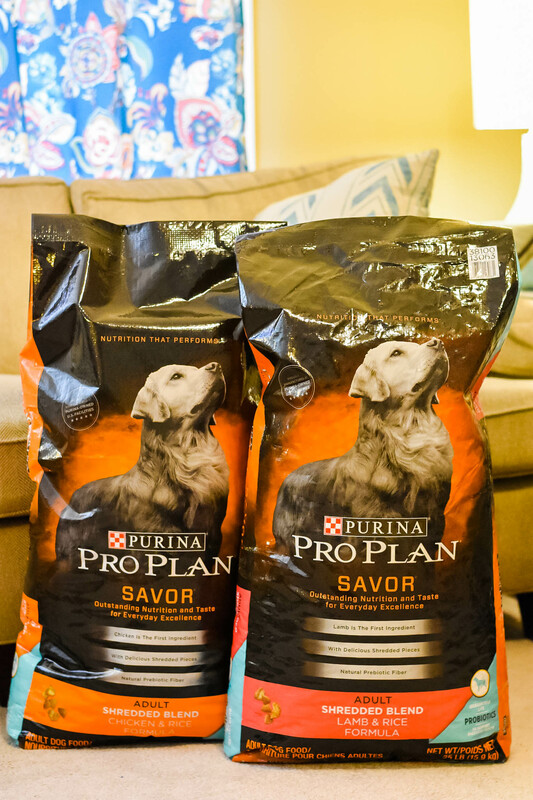 We pick up Purina® Pro Plan® SAVOR® Shredded Blend Adult Dog Food for Lilly at Pet Supplies Plus. It’s in such a convenient location for us, they have everything that we need for Lilly, and they really make shopping for her enjoyable. 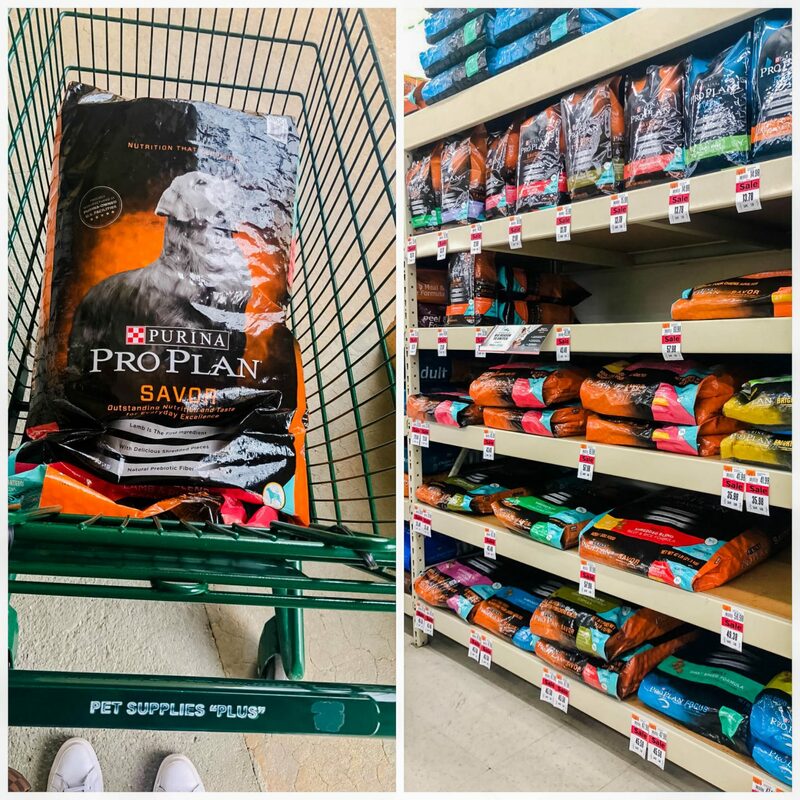 The staff at Pet Supplies Plus is always so helpful, and Lilly loves shopping with us too which makes things even better. 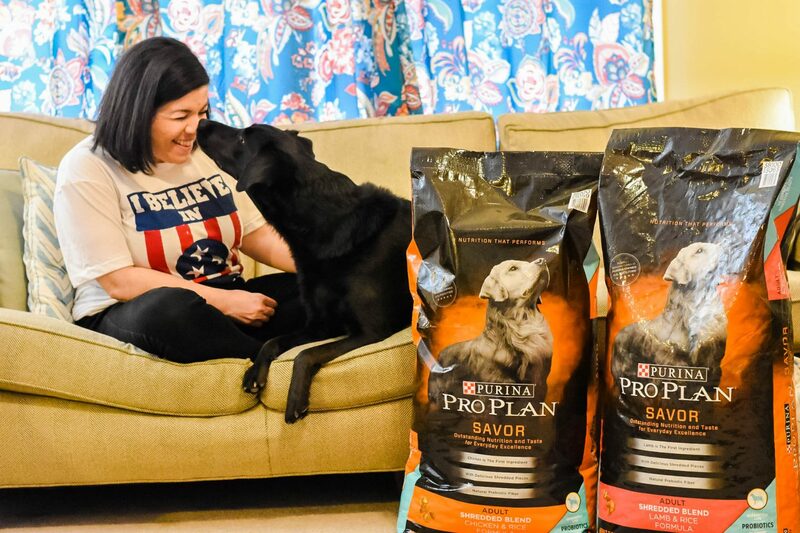 Visit this link here to learn more about getting $10 back when you buy Purina® Pro Plan® SAVOR® dry, valid through 3/31/19. We were so good about walking Lilly twice a day, that is until Charlotte was born. 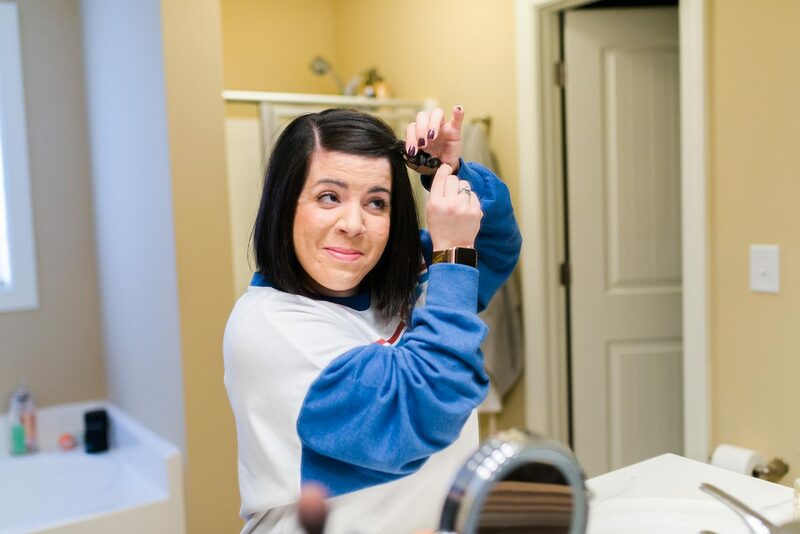 Our daily schedules have been altered with the addition of Charlotte to our family, but we can’t forget how much it has impacted Lilly too. 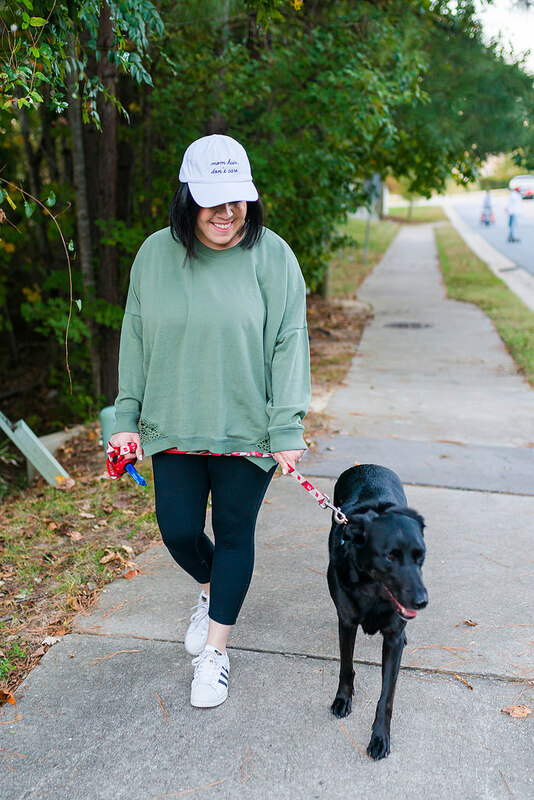 To get back on track one change that we made this year is walking Lilly twice a day, which has made her so much happier! It’s a positive change that helps Lilly lead a healthy style, but it’s also really good for us too. It’s so easy to just give Lilly a treat here and there, until you realize she has eaten way too many treats over the course of the day. 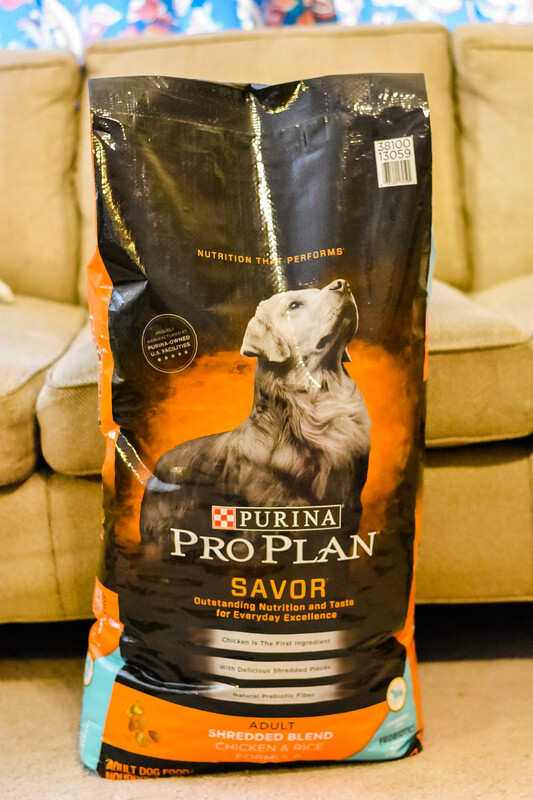 We actually stopped giving Lilly treats all together, and now we’ll give her just a few pieces of Purina® Pro Plan® SAVOR® Shredded Blend Adult Dog Food instead, and she really loves it. This can range from going on walks, taking Lilly to the lake, or just snuggling up together and watching TV. Like I mentioned before, the change in our family has had an impact on Lilly and it’s important that we spend quality time with her too. I think this has a positive impact on both her physical and mental health. 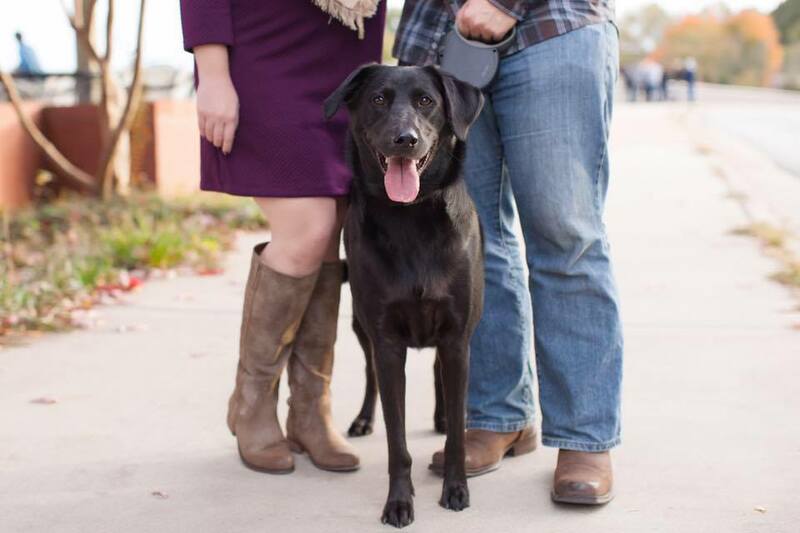 What are changes that you’ve made so that your family pet leads a healthy lifestyle?